We are partnering with leading suppliers in the industry. Our aim is to find the best solutions for each customer. Every customer from a small lab to high throughput central laboratory will find solutions which help them to work more efficiently. We offer tools for every microbiology laboratory. 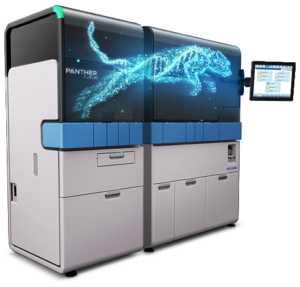 Experience freedom and control over your molecular testing workflow like never before with the Panther system from Hologic. This fully automated platform provides test consolidation, random-access sample loading and proven assay chemistry to deliver high performance and results you can trust. Assays currently available are e.g. Panther Fusion – NEW system from Hologic! Evolve your laboratory’s capability for molecular testing with the addition of the full Panther Fusion system or add the Panther Fusion module to your existing Panther® system. The Panther Fusion® respiratory menu on the Panther Fusion® system offers strategic coverage of target analytes with patient-specific results. You can run 1, 2 or 3 assays from a single patient specimen. GeneXpert System technology offers complete menu of tests on a single, fully scalable, consolidated workstation. 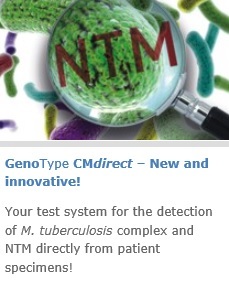 Fully integrated and automated module on-demand molecular diagnostic system. The GeneXpert System is available in a one, two, four, 16, 48, or 80-module configuration. All use the same patented cartridge technology for every Xpert® test. Coris Bioconcept offers a wide range of rapid tests for virus diagnostics as well as bacterial diagnostics.